I first saw the image (right) of an elegantly dressed woman and child standing underneath a neon “colored entrance” sign in a blog post last year. The stark juxtaposition of the photograph’s two main elements – the people and the sign – as well as the symbolism of the composition – the sign literally hanging heavily over their heads, referencing the Jim Crow laws that governed their part of the world at that time – were impossible to forget. 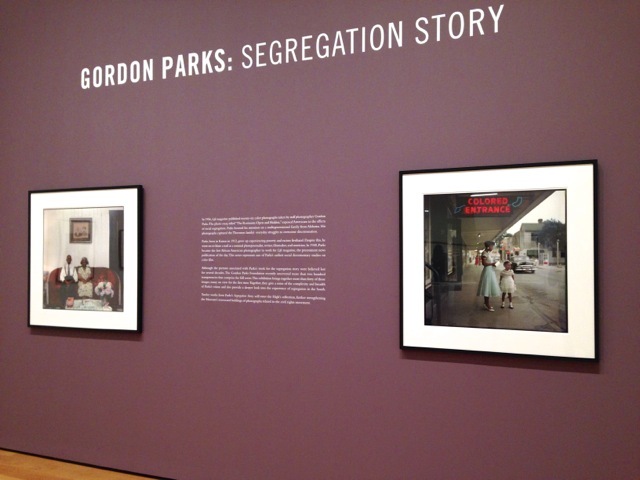 I had never heard of the photographer, Gordon Parks, before, and I had to learn more. 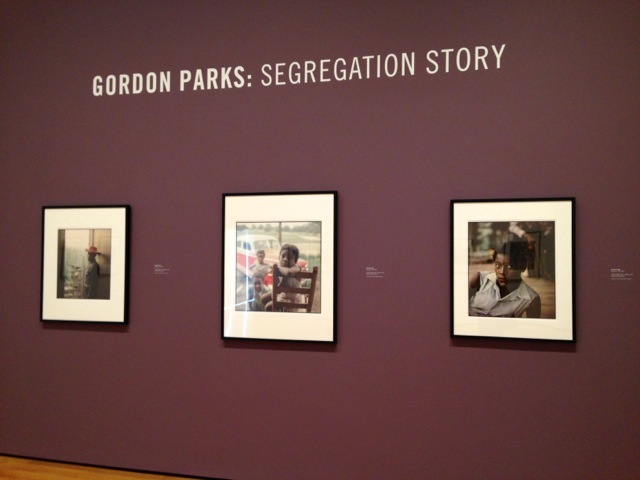 In serendipitous fashion, I learned of an exhibition of Mr. Parks’ work at the High Museum of Art here in Atlanta. 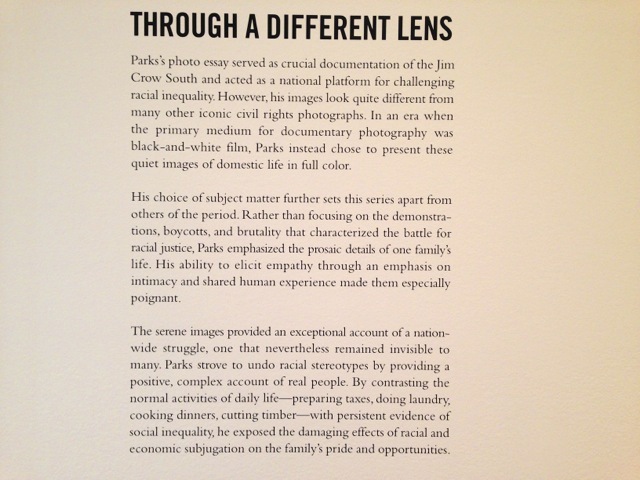 The exhibit runs through June 21, 2015, through which time visitors also receive discounted admission to the Center for Civil and Human Rights (and vice versa: click here for specific details). 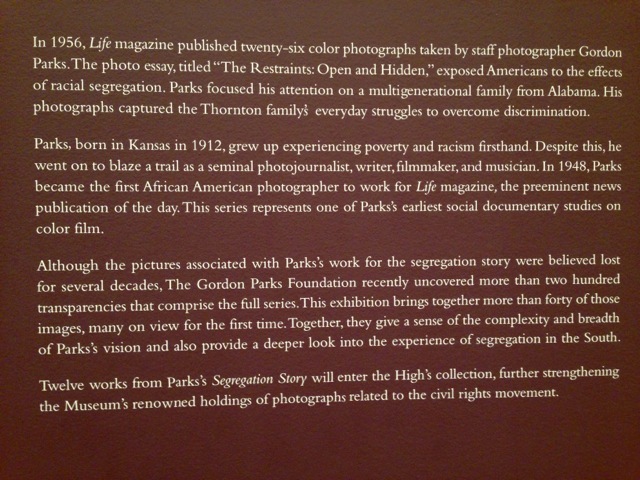 The exhibit features about 40 of Mr. Parks’ photographs, the original Time Magazine article, and nearby, a Leonard Freed: Black in White America photography exhibition. Have you seen, or do you plan to see, this exhibit? I would love to hear (read ) your thoughts on it. Do share!